Cutting through Premier DOUG FORD’S hyperbole, the provincial government’s plan for the TORONTO Transit Commission (TTC) might work. Its ace seems to be money, and the province’s ability to cut through red tape when it comes to the subway’s expansion in the Greater Toronto/Hamilton Area (GTHA). 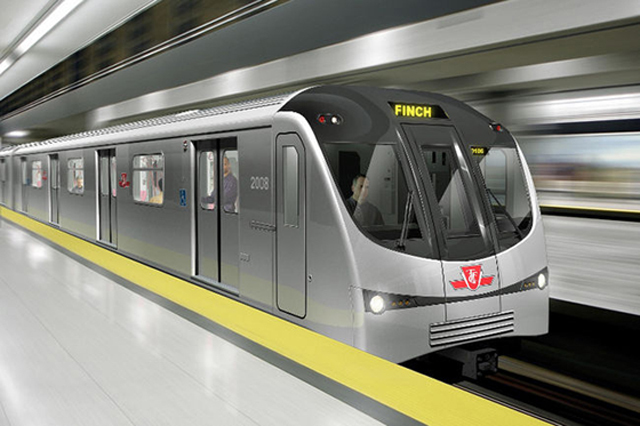 The plan, presented at Queen’s Park, says Ontario would take over the building and maintenance of the present & future subway; TTC would deal with day-to-day operations; TTC would continue to run the streetcars and buses and keep fare box revenues; a push would be made to integrate the TTC with GO and regional transit systems; the province & city would agree on the dollar value of the present subway system and the maintenance price tag. 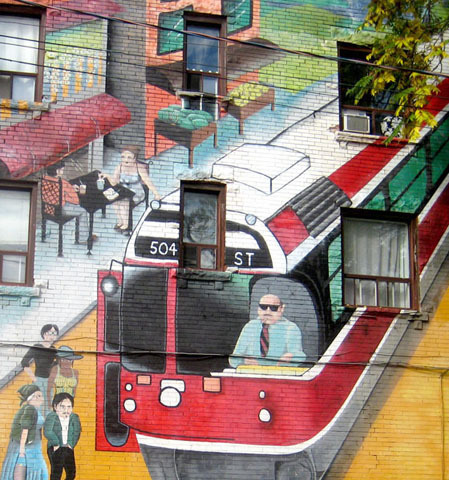 According to the Toronto Star, the two sides are negotiating the subway’s value. It seems to be worth about $9-billion, with maintenance and upgrade of tunnels, signals and track amounting to $5.6-billion. This suggests, according to the Star, there’d be a one-time net gain of $3.4-billion for the city. In a report published by the TTC in January/2019, the subway network and stations would need an estimated $22-billion in capital investment over the next 15 years. This wouldn’t include expansion projects, such as the downtown relief line. This could be a ‘spider and the fly’ type story. “I think we’re being suckered,” said city councillor JOSH MATLOW, the only councillor who voted against talks with the province. Broadcaster and newspaper columnist EDWARD KEENAN is known for telling it like it is. In a March 8 column he’s concerned that York Region (i.e. the 905 outer ring of suburban towns, cities and sprawl) is lobbying the federal government for cash to extend TORONTO’s subway (largely paid for by city taxpayers) to Richmond Hill “a neighbouring city up there in the northlands”. The column – ‘No room for Vaughan in Toronto transit’ – opens with a vivid description of the 905 City of VAUGHAN . . .
With that out of the way, the main concern of Mr. Keenan is that folks in Richmond Hill will get first choice of seats and standing room on TTC trains heading south to TORONTO. By the time the trains reach the city limits, the good burghers waiting there (who are paying for the system) will have to squeeze themselves aboard. To make a long story short, Mr. Keenan and the good burghers don’t think it’s fair to extend their subway further into the ‘burbs. That’s putting it mildly. 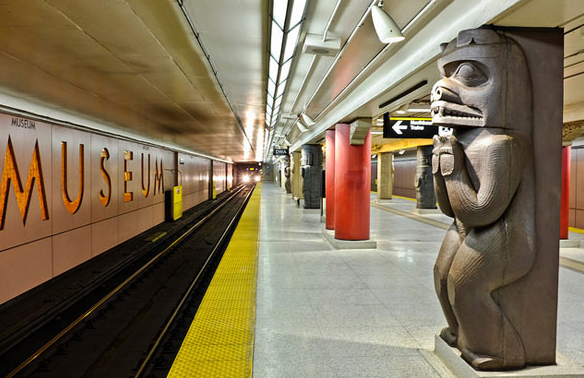 TORONTO’s Museum subway station is on The Guardian’s list of the world’s most beautiful metro stops. 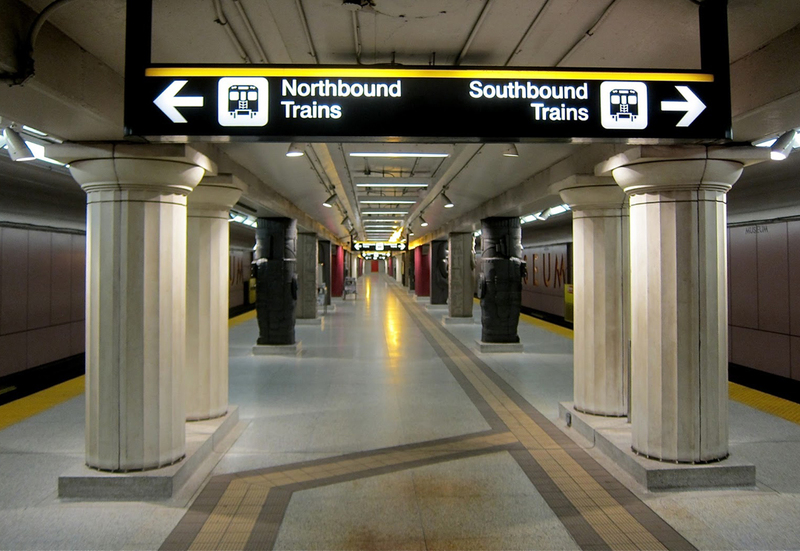 Opened on April 8, 2008, the rebuilt station features columns and sculpture replicating artifacts found in the Royal Ontario Museum above. The design for the station platform was done by TORONTO architect Jack Diamond of Diamond+Schmitt Architects. The same group created TORONTO’s Opera House in the Four Seasons Centre for the Performing Arts, and the Maison Symphonique in Place des Arts, MONTREAL. Five years ago former mayor DAVID MILLER and City Council approved $834-million as TORONTO’s share in purchasing 204 air-conditioned LRV streetcars from Bombardier Canada. 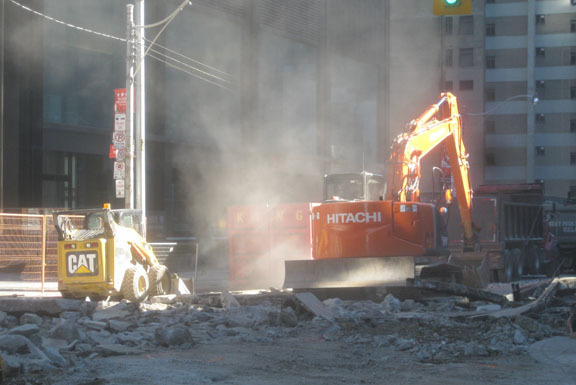 The Province of Ontario kicked in another $417-million. 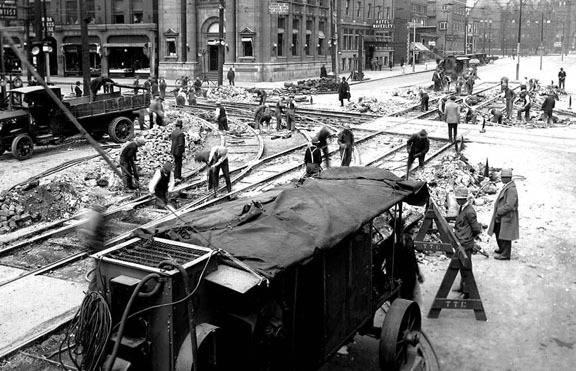 Two of them are now in service on Spadina Avenue. The other 202 will be phased in over the next five years, and all of the old models will be retired. DAVID MILLER and Toronto Transit Commission CEO ANDY BYFORD can take much of the credit for delivering these state-of-the-art vehicles to the people of TORONTO. LRV highlights: fast acceleration, bike racks, 70 seats with room for 181 standees, ramps for wheelchairs and bundle buggies, and four doors for quick boarding. The “skunk at the party” is Mayor ROB FORD, who has no use for streetcars. In fact, he wants to dump them all. “I know one thing. 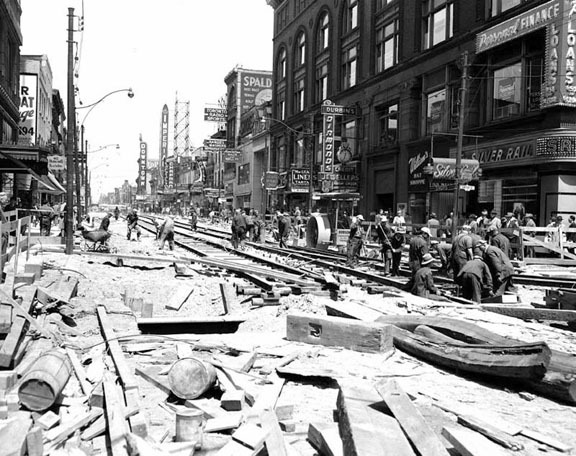 I won’t get on a streetcar,” Ford has proclaimed. “If I have an option, driving or streetcar, I’m going to get in my car. I just want to eventually phase them out . . . People want subways, folks. They want subways, subways. They don’t want these damned streetcars blocking up our city. That’s what they don’t want.” Says he. 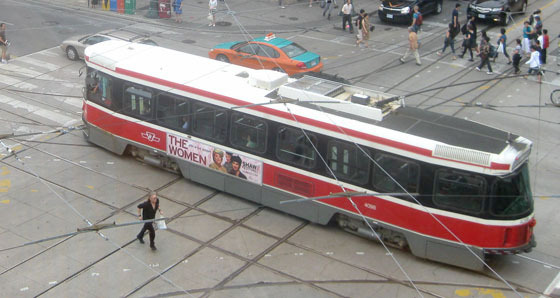 TORONTO has one of North America’s finest public transit systems, at least according to Seattle-based Walk Score – http://www.walkscore.com – and the mounting cost of maintaining the TTC is uniquely funded from the fare box (70%) and city property taxes (30%). TORONTO has fared very well against US cities too, outscoring every one of them except NEW YORK and SAN FRANCISCO. The top three Canadian transit cities: TORONTO (score 78); MONTREAL (score 77); and VANCOUVER (score 74).